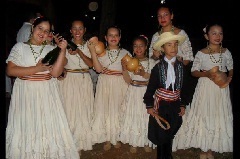 WMBD 2012 Celebrated Around the World! 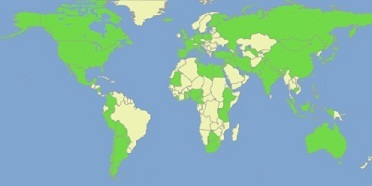 Most Successful Global Campaign Yet! 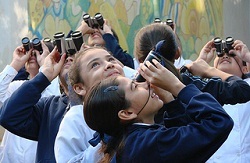 Over 250 events in a record 78 countries celebrated and raised awareness about migratory birds for World Migratory Bird Day on 12-13 May 2012 making it the most successful campaign since its inception in 2006! 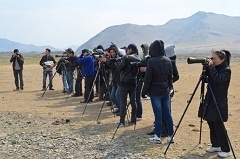 We would like to thank all the event organizers, bird conservation organizations, birding and concerned citizen groups, governments and finally the thousands of dedicated individuals that made World Migratory Bird Day 2012 our most successful ever. Without the devoted work and passion from individuals and organizations such as you, World Migratory Bird Day would not be possible! 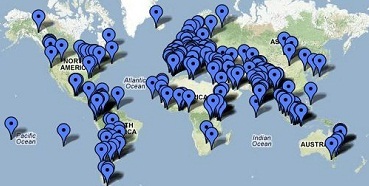 See the Full World Migratoy Brid Day Map and the 250 Events for 2012! 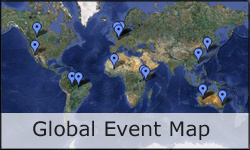 World Migratory Bird Day Celebrated in a Record 78 Countries! Argentina, Australia, Austria, Azerbaijan, Bangladesh, Belgium, Benin, Bolivia, Botswana, Burundi, Cambodia, Cameroon, Canada, Cape Verde, Chile, China, Colombia, Cook Islands, Croatia, Czech Republic, Denmark, Ecuador, Egypt, Ethiopia, France, the Gambia, Georgia, Germany, Ghana, Greece, Guyana, Iceland, India, Indonesia, Iran (Islamic Republic of), Iraq, Israel, Italy, Japan, Jordan, Kenya, Korea (Republic of), Kosovo (UN Resolution 1244) Liberia, Libya, Malaysia, Maldives, Mauritania, Mexico, Mongolia, Montenegro, Nepal, Nicaragua, Nigeria, Pakistan, Palestine Authority, Paraguay, Peru, Philippines, Poland, Portugal, Qatar, Romania, Russia, Rwanda, Saudi Arabia, Serbia, Sierra Leone, Singapore, South Africa, Spain, Sudan, Sweden, Syrian Arab Republic, , Tunisia, Turkey, Uganda, United Arab Emirates, United Republic of Tanzania, United States of America, Uzbekistan. To celebrate the 100th anniversary of the French League for the Protection of Birds, the LPO Aquitaine organized a day of awareness and observation of migration on the migration study site migration of La Pointe de Grave. Also in France at La Rochelle, WMBD was celebrated in conjunction with the 5th Meeting of the Parties (MOP5) of the African Eurasia Migratory Waterbird Agreement (AEWA) on 14 - 18 May 2012. The theme for MOP5 was "Migratory waterbirds and people – sharing wetlands" and set the conservation agenda for the next three years for AEWA and its 64 member states. AEWA covers 255 species of birds ecologically dependent on wetlands for at least part of their annual cycle. 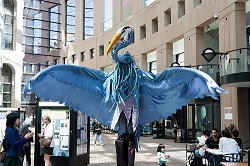 On May 12, 2012 the City, along with the Stanley Park Ecology Society, Bird Studies Canada, Nature Vancouver, Tourism Vancouver and other partners, recognized World Migratory Bird Day in a series of events held across the city. Only a year ago, in 2011, the City of Vancouver Park Board proclaimed World Migratory Bird Day, in a declaration signed by Mayor Gregor Robertson. The declaration recognizes the better management of birds and their habitats through initiatives such as Vancouver's Greenest City 2020 Action Plan would benefit residents and over 407 bird species. 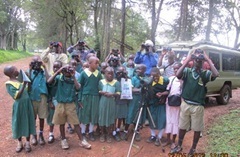 Nature Kenya works in all the 61 Important Bird Areas (IBAs) in the country. Eighteen of these have been considered to be of more critical concern based on the threats they face. WMBD celebrations were held at: Dakatcha Woodlands, Tana Delta, Taita Hills, Dunga Swamp, Yala Swamp, Mt Kenya, South Nandi, North Nandi and Kakamega Forest. The groups at these sites participated by taking part in bird watching, tree planting, conservation talks on birds/migratory birds, video shows on birds, drawings and a football tournament that brought together the young and the old in the community. 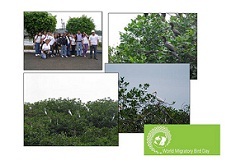 WMBD 2012 was celebrated in Sulaimaniya, Iraqi in the context of the BirdLife Middle East Partnership Meeting. The meeting gathered the BirdLife Middle East family and provide the opportunity to discuss the BirdLife Strategy 2014-2020, The Brand Evolution and projects in the region including the Migratory Soaring Birds project. On the last day Nature Iraq, BirdLife's Affiliate in Iraq, organized a field excursion for the participants to conclude the partnership meeting and celebrate Birds and people.